Huawei announced three outstanding smartphones in CES 2013: Ascend D2 and Ascend Mate and its first Windows Phone 8 - Ascend W1. Ascend W1 is also the least expensive Windows Phone 8 in China now. The title of cheapest WP8 device in China was previously held by Nokia's ¥1,999 (about $320) Lumia 620, though in the US it is available for just $249. As the first device to run Windows Phone 8, Huawei Ascend W1 features with a 1.2GHz dual-core processor, 512MB of RAM, 4-inch 480 x 800 IPS display and 5MP rear facing camera, and a decent-sized 1,950mAh battery. At 120g the Ascend W1 is a good weight for a 4-inch smartphone, and while the handset may measure 10.1mm in depth the curved polycarbonate back rests nicely in the hand and provides some grip. On the back is the raised 5MP camera unit which is similar in design to the one found on the back of the HTC One X, with a single LED flash to its right. 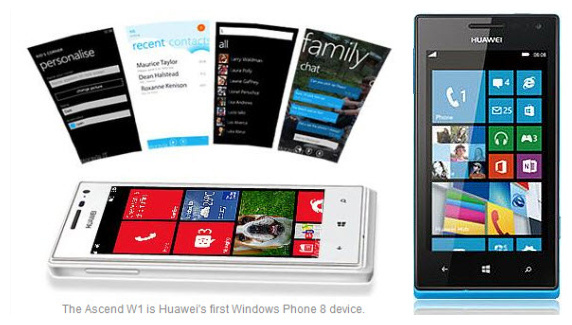 Easy to know Huawei Ascend W1 isn't a flagship Windows Phone 8 device by any stretch of the imagination. It still provides all the features you'll want from a smartphone in a package which is intuitive and fully functional. Those wanting to explore smartphones for the first time, or who are looking for a simple experience at a low cost, the Huawei Ascend W1 could be well worth considering. Huawei Ascend W1 with lowest price for a Windows Phone 8 and with a big four-inch screen. It can be used to watch videos in spare time. 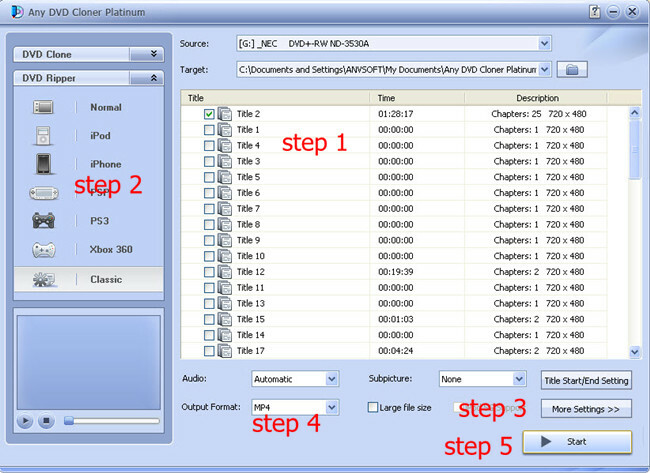 Easy to understand that can not load and watch movie DVD discs with the handset by watch the movies by converting DVD to supported video formats, such as MP4. 1. Download and install Any DVD Cloner Platinum (Windows version / Mac version). Then launch the program, and insert DVD disc into DVD drive. 2. Click "Open DVD" for loading DVD informatino in the program interface. All titles should be listed and the longest title would be detected automatically. 3. Choose "Normal" as output option and MP4 will be selected in "Output Format". Click the button to change output format to MKV or M4V. 4. Choose titles you like to convert to videos for playback on Huawei Ascend W1. 5. Click "More Settings " button if like to cusotmize the output video's video, audio or picture parameters, all is up to your preferences. Or just leave everthing by default. 6. Click "Start" to avtive the ripping process. Wait for a while, the video will be generated successfully. Transfer it to Huawei Ascend W1 and then you can watch the movie with phablet freely.